Psychedelic rockstars My Morning Jacket have released their new video for “Compound Fractures”, featuring a really rad montage of an incredible live performance. But what makes this live performance so unique? It took place at the legendary natural amphitheatre, Red Rocks. From there, My Morning Jacket truly took their dreamy funk sound to an incredible level, attracting attention from fans everywhere. They don’t skimp on anything in this video, either. From a really incredible track that’s continuously encouraging you to move, you get some awesome filtered film, artistic camera angles and some stellar shots of My Morning Jacket’s ability to really rock a live show. My Morning Jacket is currently in the middle of their Fall 2015 tour, which you can check out their remaining dates here. Not only are they touring this season, but they just wrapped up playing in the Newport Folk Festival this past July. “Compound Fractures” has a video that really focuses on the raw energy of the band playing in such a unique natural amphitheatre such as Red Rocks. From here, you can see how they really just focus on the music and their energy as a band to really have an awesome show. I love the energy in this video and the vibes it gives; you’ll be addicted within the first five seconds. 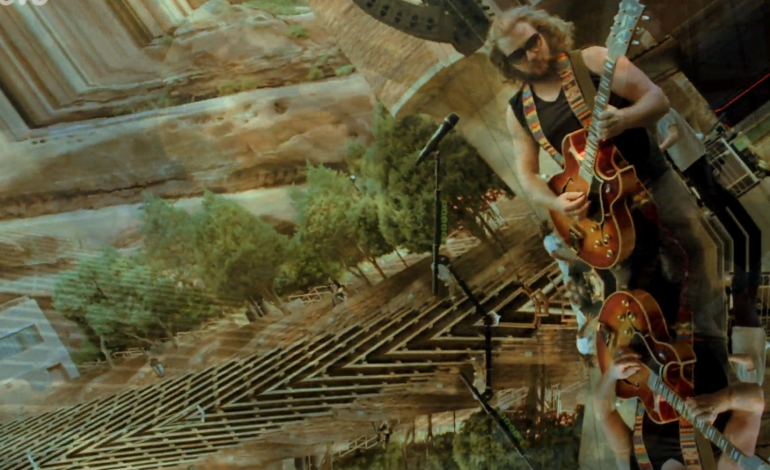 You can check out My Morning Jacket’s new released video for “Compound Fracture” here below.